A magnificent chasuble! the colors are perfect. it is very elegant! 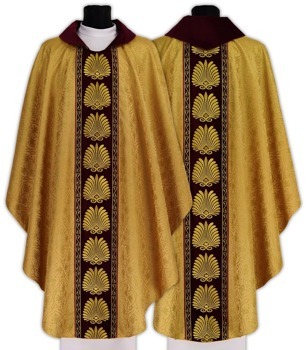 Beautiful chasuble. Reasonably priced. Quick reasonable shipping from Poland! High quality, very good zucchetto. Beautiful green colour. The Priest's Stole could have had a patch on the ends to match the orphrey on the chasuble. otherwise delighted with our purchase and the easy ordering procedure.